Set in the early 1900s, “The Secret Garden” tells the story of an orphaned girl, sent to live with her widowed uncle in England. A production at Corn Stock Theatre features Broadway actor and Peoria native Bart Shatto. Stan Strickler has this review for Peoria Public Radio and the Live Theatre League of Peoria. Opinions expressed are those of the reviewer, not those of Peoria Public Radio or the Live Theatre League. Stan Strickler reviews "The Secret Garden" at Corn Stock Theatre. In my email I get countless offers to see Broadway in Chicago, but one doesn’t need to travel to see Broadway caliber entertainment. “The Secret Garden” is Broadway caliber and then some. It is a beautiful production with great singing, wonderful dancing, and an emotional story that moves the audience. While this musical is not as well known as many others, it deserves a sold out audience every night in this production. The story revolves around Mary Lennox. Her family is killed in a cholera epidemic and she is sent to England to live with her uncle Archibald Craven, a man so overcome by grief that he has retreated from the world. Mary soon discovers a garden created by Archibald’s late wife. Through the help of Dickon, a brother of one of the servants, the garden is restored and the family is brought back to life. The musical would not succeed had there not been three outstanding young actors in the cast. Faustina Hoerdeman brings a feistiness and determination to the role of Mary Lennox. She has a strong voice and a fine stage presence. Tyler Smith as the strange and mysterious Dickon sings beautifully, dances with style, and plays his role very well. And Kaden Micklos as Colin brings a strong voice and acting ability to his role. The other adults in the cast are also outstanding, especially Katy Speiden as Lily with her wonderfully operatic voice. Never have I heard a ghost sing so beautifully and hauntingly. The dancing is also beautiful to behold. Tamara Challacombe and Puja Mittal have created beautiful dances both in the ballet sequences and the Indian dances which seem very traditional. The ballet sequences perfomed by Aaron Elwell and Pualine Parkhurst are exquisite and moving. The play is shrouded in mystery and a dreamlike quality as so much of it takes place in the characters’ minds. The set is minimal but functional, allowing the audience to create its own pictures. The smoke and lighting effects add to the dreamlike quality. However a real garden is created outside thanks to Hoerr nursery and it serves as the secret garden of the show. Arrive early enough to appreciate it. While this show is not as well-known as many others, it has a beautiful haunting score that is at times operatic. And the orchestra conducted by Andrea Molina plays it superbly. This is a show not to be missed and I hope that it is held over so more people can see a truly beautiful, moving production. Pam Orear is to be commended for directing such a beautiful production. 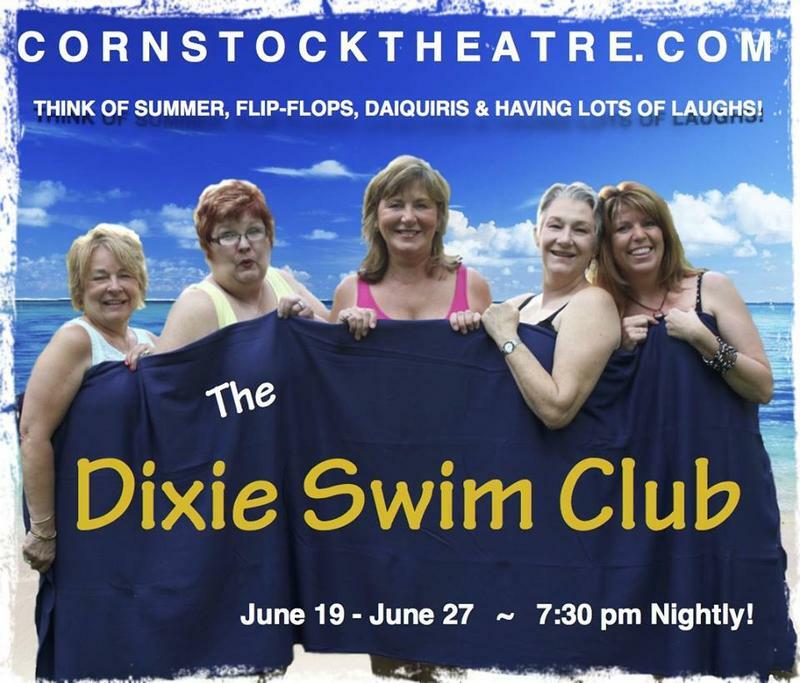 The relationships that form among five women in college form the basis of the play “The Dixie Swim Club.” Stan Strickler has this review of a production at Corn Stock Theatre, for Peoria Public Radio and the Live Theatre League of Peoria. Opinions expressed are those of the reviewer, not those of Peoria Public Radio or the Live Theatre League.